We don't have to live in a medicated world, but we certainly choose to. The crux of the matter is that we refuse to proactively think about prevention because we reactively commit to treating the symptoms of underlying health problems. This is the allopathic model. We want the quick fix so we can continue our poor lifestyle and dietary habits. It doesn't have to have to be this way, but it is. We can blame doctors, the medical institutions and healthcare systems all we want, but self-responsibility is our only recourse if we are ever to surface from this mess. 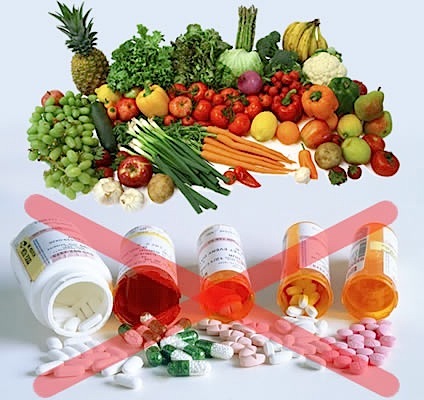 There are no excuses--if you're taking one of these drugs, consult with a Natural Health Practitioner this week about phasing out your medication and phasing in these powerful natural foods and remedies. Respiratory depression; bradycardia; coma; seizures; cardiac arrest; liver damage; and death. Inherited genes such as the Cytochrome P450 affects metabolic pathways--some cannot process it at all, whereas a smaller percentage can get even more strength from it than usual. Nuts, spinach, apples, turmeric, cranberries, tomatoes, green tea, fatty fish, beans, alfalfa herb, capsicum fruit, garlic, psyllium, fenugreek seeds, butcher's broom, licorice root, hawthorn berry. A synthetic form of the thyroid hormone thyroxine, generic Synthroid makes up more than 11% of the top prescribed medications. It's used to treat hypothyroidism. The related drug dextrothyroxine (D-thyroxine) was used in the past as a treatment for elevated cholesterol but was withdrawn due to cardiac side-effects. Any foods containing iodine such as seaweed, kelp, radish, parsley, fish, seafood, eggs, bananas, cranberries, strawberries, himalayan crystal salt. Also, copper, iron, selenium and zinc are essential in the production of thyroid hormones. Exercise a minimum of 20-30 minutes per day -- enough to raise the heartbeat. In combination, azithromycin and amoxicillin contribute towards a mind-blowing 17% of the top prescribed medications. Then we wonder why we have antibiotic resistance. On their own, each contributes about 8.5%. Azithromycin is one of the world's best-selling antibiotics and derived from erythromycin. Amoxicillin is usually the drug of choice for children. Sunlight (vit D), garlic, coconut oil, turmeric, foods high in nicotinamide (vit B3) such as salmon, sardines and nuts. Also manuka honey, olive leaf extract, green tea, pau D'Arco, rose water, myrrh, grapeseed extract, golden seal, oregon grapes, oregano oil, andrographis paniculata, and probiotics. The drugs on which we spend the most money are those that are still new enough to be protected against generic competition. That's why drugs like Abilify and Seroquel (antipsychotics), as well as Plavix (blood thinner) and Advair Diskus (asthma inhaler) don't make the list.